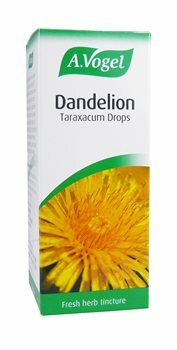 We encounter Dandelion (Taraxacum) most commonly as a weed, rather than in this beneficial fresh herb tincture.The Dandelion is well known for its flower, its roundel of seeds and its trademark smell. Far from discarding it as an invasive weed, our gardeners carefully nurture their annual crop because they know, as Alfred Vogel did, the benefits of using the whole plant including the roots of this undervalued plant to help maintain the body’s health. I had read that dandelion has many benefits, was a possible cancer preventative, as well as being diuretic. It works wonderfully for me as a diuretic, for the rest I'll wait and see. I have been using Vogel products for decades,i.e. milk thistle, and have never had any quality related issues.